Whether you are presenting in a boardroom, classroom or on stage, we have something to help you deliver more impactful presentations. 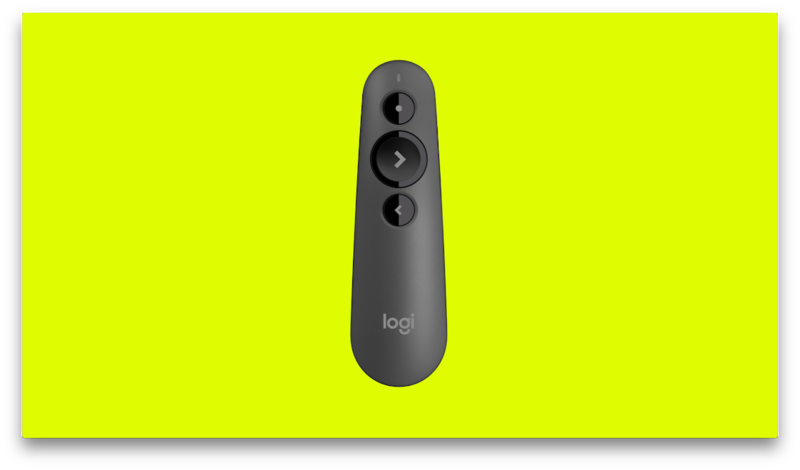 Today, Logitech announced a new software update with enhanced personalization features for the premium Logitech® Spotlight™ Presentation Remote. We also introduced the Logitech® R500 Laser Presentation Remote, bringing simplified presentation control to the palm of your hand with a laser pointer. The Spotlight Presentation Remote set the new standard in presentation control when it launched last year, enabling you to highlight and magnify on-screen content in an engaging and powerful way so you can better underscore your point. Logitech continues to help you become a better and more confident presenter in front of any audience and any presentation environment. Highlight freeze: Move the on-screen spotlight to a specific area on your slide, and “freeze” it on that spot, while you continue to speak to your audience. More customization with timers: Set the timer according to your presentation needs. If you’re doing a startup pitch, you can receive vibration alerts at short time intervals. Or, if you are giving a lecture, you can set a vibration notification at a specific time on the clock. The Logitech R500 Laser Presentation Remote works best in physical presentation environments with a traditional projector screen, flip charts or 3D models. It is designed with a natural, contoured shape and soft rubber surface that fits comfortably into the palm of your hand. It features an easy-to-use red laser pointer to help direct your audience, a scratch-resistant soft rubber case to protect it on-the-go and gives you the freedom to present from up to 65 feet (20 meters) away. To use the R500, simply connect it to your computer, tablet or smartphone through the included USB receiver or Bluetooth® Low Energy technology. The R500 is compatible with Windows, Mac OS, iOS and Android, and is available starting today in graphite for a suggested retail price $59.99 at Logitech.com. Which Logitech presentation remote will you use for your next presentation?